AJS & Associates is the topmost manufacturer as well as designer relating to Beer Tap handles in the sector of Beer and Beverage Industry. It was setup in the year 1987 and acts as a functionary chain relating to Hankscraft Inc. Besides the company also manufactures and designs products including sample trays, chalkboards and others. Few of their specialty products include Permanent POS, wood turnings and Edge-lit signs other than Beer Tap handles. Presently they are doing their business with numerous distillers, beverage distributors and breweries. 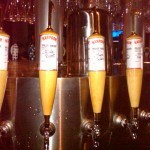 Even they can develop customized tap handles for beer, if desired for. They also offer several contracting services. There are currently 0 consumer reviews about AJS Associates available. Share your review. Please take a note that you are about to post a public review about AJS Associates corporate office on CorporateOffice.com. This review will be public, so please do not post any of your personal information on this website. If you would like to contact the corporate offices of AJS Associates, please use their contact information such as their phone number, website, and address listed above to contact them. However, sometimes staff from AJS Associates headquarters do read the reviews on this website.